Welcome to your brand new ICFhome.ca dream house. 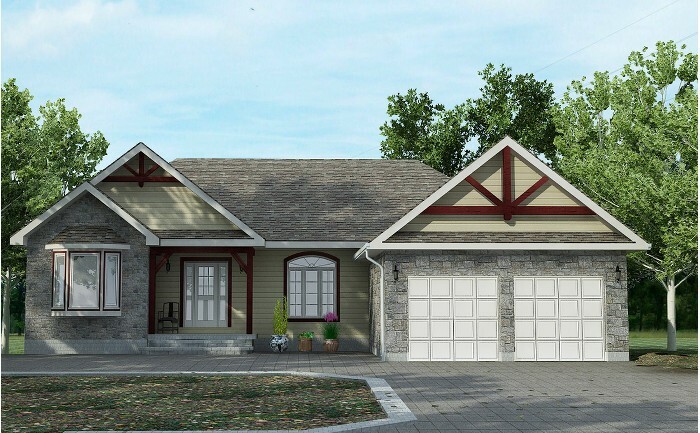 Model: Ravenswood – For virtual tour and the price click here! This is the perfect three bedroom, two bathrooms, single level home design, offering 1839 square feet of luxurious living space. The home design features a post and beams front porch. Upon entering the home, the foyer leads you into the large open concept family room with a vaulted ceiling and an inviting fireplace. The family room flows nicely into the breakfast nook and modern kitchen. The kitchen features a breakfast bar and 40” glass cabinets. Off of the kitchen is a hallway that on one side leads you into the laundry room that offers quick access to the two-car garage. The other end of the hall takes you to the spacious master suite, which also features tray ceilings. The master suite offers home buyers a gorgeous master bathroom with large soaking tub and separate walk-in shower, a double sink vanity plus his and her walk-in closets. If you venture to the opposite side of the great room, you will find the two additional bedrooms that share their personal bathroom. 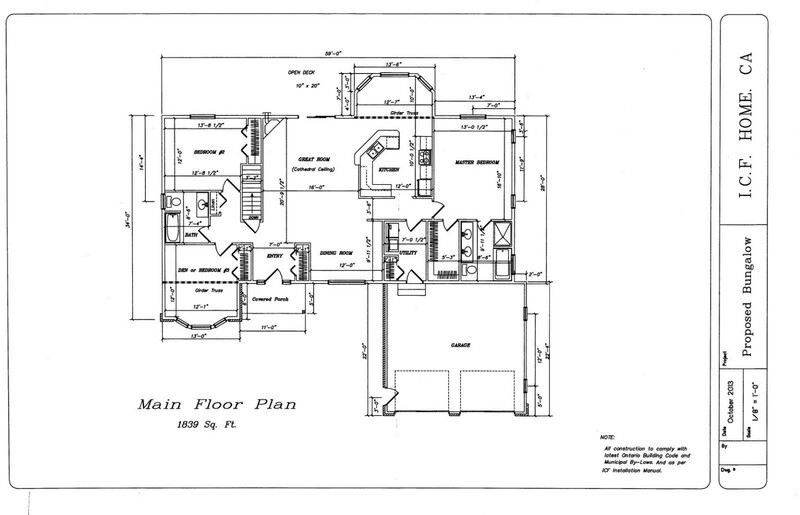 This floor plan allows for the ultimate privacy for you and your guest. Sorry, this home is sold! Luxury Home For Sale Georgian Bay Cottages For Sale – Enter Paradise! Custom Home Builder in Georgian Bay How To Find Best Custom Home Builders in Georgian Bay Area? Please give me details on all the homes built or not yet built in the Tiny Beaches enclave area. I understand Danielle Dorion is the sales rep for one of the homes, but I’m not sure who to contact about the other ones. Please advise. How close are these homes to the beach? Which one is closer? With thanks.